06Universal Converting Equipment have supplied a new CL350 hot melt adhesive coater/laminator to sister company, Universal Adhesive Systems. The new coater is available for customer trials at Universal Adhesive Systems, Daventry facility, US. The machine has been built with a focus on flexibility. Despite the small footprint, the machine is capable of multiple coating types, including slot die proximity coating, CrossCoat curtain coating, high speed intermittent coating, spiral coating, spray coating and Dynafiber coating. It can also handle substrates including films, paper and non-wovens and operate at production speeds. The automatic coating station on the CL350 was designed and built in Ipswich by Universal Converting Equipment. Drawing on their expertise in control systems the CL350 is simple to use and incredibly accurate. Adjustments on the coating station are made via a touchscreen and actioned by precision motors. The constant gap winding system ensures the best quality finished rolls are produced. 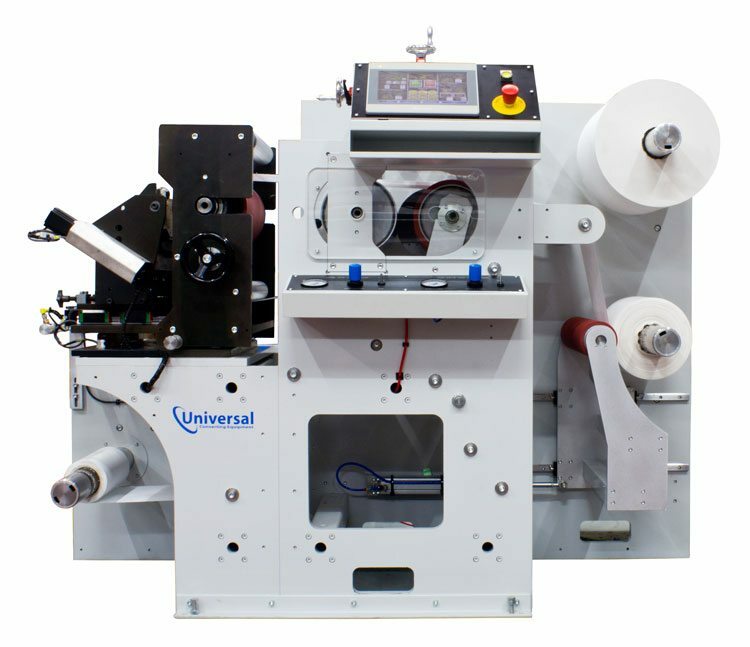 The Universal CL350 is part of a wide range of coating, converting and slitting machines designed and built by Universal Converting Equipment. All Universal coating machines have a touch screen operator interface and a drive and control system that can be connected to a secure internet connection for diagnostics.